A woman’s hair is her pride a joy and one of the key features many women spend the most time and money on. Hair loss in women usually begins at menopause. Before this time, DHT is counteracted by estrogen, but when estrogen levels drop, women's hair follicles may also become prone to the effects of DHT. Unlike men, female pattern baldness is marked by thinning throughout the scalp; fully bald spots at the crown are rare. If it begins to fall out, it can be more than just upsetting, it can be absolutely devastating. It can lead to total loss of confidence and even depression. that specialise in delivering realistic & natural looking results. Women can count on Elite Hair Restoration to provide private and professional consultation and services in regards to female hair loss. We are happy to answer any questions you have about any aspect of female hair loss surgery or call 0800 171 2430 and speak to one of our friendly advisors. 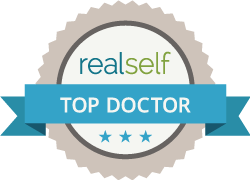 We have some of the most experienced and Qualified Hair Transplant Surgeons in the United Kingdom, offering the most advanced method of Female Hair Restoration Surgery. After your transplant and initial healing period your hair will start to look and feel full and healthy once again. The results of this technique are very natural as we use your own hair. At Elite Hair Restoration we have a dedicated Female Call Centre Operative and Patient Advocate. 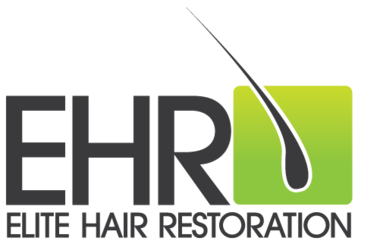 With their detailed knowledge and experience they are on hand to guide you and support you through your Hairloss Journey and have helped many women get the results they hoped for. Hair Transplants are available throughout our Clinic Network including London, Manchester, Birmingham, Nottingham, Portsmouth, Leamington Spa, Sheffield & Liverpool, with consultations available across the UK at our consultation venues. "I am so happy I had the procedure as it was not nearly as bad as I thought it would be. I have not had any pain apart from feeling a little sore where the stitches are. The whole team was fantastic, even the receptionist, they all made me feel at ease and at no point was I nervous as I felt I was in good hands. The Surgeon was so nice and the procedure was painless. It was an experience that I would definitely recommend to anyone thinking about having a hair transplant, it was better than expected, and the staff are so friendly and experienced it made me feel at home and was a stress free experience. I would rather have this done again then going to the dentist. Many thanks to all staff for making it an enjoyable and stress free day." Female Hair Loss Client JG (London) .